We have a team of fully qualified engineers trained in all aspects of plumbing and heating ranging from whole house plumbing installations to luxury bathrooms. We have a wealth of knowledge about every type of plumbing installation, from domestic to commercial. We have designed and installed multiple and varied bathrooms and as gas safe engineers we offer a variety of gas services. We offer a professional service which is one to one and personal to each client. To deliver the best service we manage your work so that you don't have to worry when and who is 'coming and going'. As you would expect of a professional business all our engineers work to very precise standards. There is always someone to contact, so when there is an emergency we will be there. 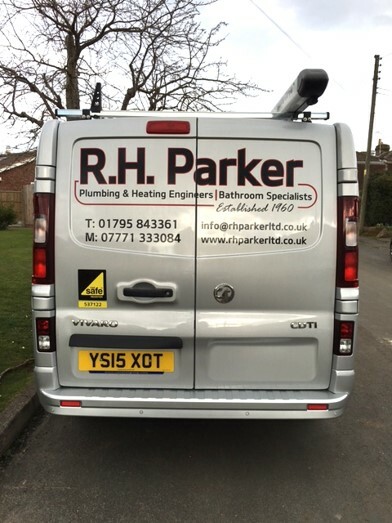 At RH Parker we guarentee all the plumbing and heating work we do will be installed to a very high standard.